It’s no secret that Vietnam is becoming a popular destination for travelers across the globe and it’s really no wonder why. The country offers pristine beaches, towering mountains, sand dunes, bustling cities, and delectable cuisine. The citizens of Vietnam are warm, inviting, curious, and generous. What’s not to like? Vietnam’s most populated city, Ho Chi Minh City, or Saigon, has become one of the most visited places in Vietnam. Because of this, there is no shortage of things to do in Ho Chi Minh City! This intense and sense-shocking city has around 8.6 million people and 8 million motorbikes on its roads. But, don’t let those numbers intimidate you. This city is an eclectic, mysterious, and riveting place— and every single street, corner, and alley there proves that to be true. When visiting Vietnam, it’s certainly not a place you should miss. So without further ado, I have appointed Marilyn from Words with Winos to share some of the best things to do in Ho Chi Minh City! If you’re thinking about checking out all of the fabulous things to do in Ho Chi Minh city, it might be a smart idea to get travel insurance before you go. In such a large city, can be higher crime rates and larger sickness rates. Click here or right below to check out one of my favorite travel insurance companies! Who doesn’t love a gorgeous view atop a skyscraper? In the very center of the city, which is District 1, or Quan 1, towers the second tallest building in the city and the fourth tallest in the country! It stands at a staggering 262 meters or 861 feet. The building offers stunning views of the city, which is far more widespread than one may realize. Bitexco is definitely one of my favorite things to do in Ho Chi Minh City. You can visit two different places inside for spectacular views of Saigon! For one, you could go to the SkyDeck, which is on the 49th floor. A ticket up there will cost you around 200,000 Vietnamese Dong, or about $9 USD. For a second option, you could visit the highest cafe in all of Ho Chi Minh City: Cafe EON. This cafe is located on the 50th floor of the building and doesn’t require an entrance fee. However, you would need to buy something inside, of course. But, if you choose this option instead, you could beat the larger crowd of tourists at the Skydeck and have a fresh, delicious coffee while relaxing above the city. They even have a restaurant if you’re hungry, albeit it is upscale and pricey. Either way, it’s a great and necessary place to visit! Speaking of coffee, this is definitely one of the best things to do in Ho Chi Minh City, or even Vietnam in general: drink the coffee! But, don’t go to some commercialized place like Starbuck’s. You need to drink authentic Vietnamese coffee at any local coffee shop. Why? Because Vietnam has some of the world’s greatest coffee. What makes it special is that they use the Robusta coffee bean, which happens to be almost twice as strong as a traditional coffee bean. That, and they always brew the coffee through a drip. The huge glob of sweetened and condensed milk they add certainly helps, too! The coffee itself is delectable, but enjoying one while at a cafe or sitting on a short stool on the busy sidewalk, watching the world speed by, significantly adds to the experience. Nothing is more local than that! Ah, Bui Vien, the infamous backpacker street. This is easily one of the wildest streets you’ll ever encounter while you are exploring things to do Ho Chi Minh City. There are a plethora of foreigners, food stalls, restaurants, bars, clubs, and even beggars. Yeah, the beggars can be irritating to deal with, but they’re worth it when visiting this street. Everywhere in the city closes around 10PM no matter what day except for this street. Want to go out drinking with friends and dancing? Well, here’s the best place to go for that! While you’re there, be sure to buy some cheap Saigon beer for around $1 at almost any bar you see, especially La Casa. But, this street isn’t just great for nighttime fun: it’s perfect for day time fun as well! You can eat some delectable food here, too, as well as meet people from all over the world. This goes along with Bui Vien and most areas of Ho Chi Minh City (and Vietnam)! While filling your itinerary with things to do in Ho Chi Minh or Vietnam in general for that matter, be sure to eat, eat, eat! Throughout Southeast Asia, the street food is endless! Eat all the street food especially! Of course, use your discretion when doing so. If there aren’t many locals there or it looks beyond filthy, then don’t eat there. But, otherwise, anywhere is pretty much fair game! I swear, the street food in Vietnam is on par with the street food in Bangkok! They’re all extremely cheap as well. The prices range for these items from 20,000 to 100,000 VND ($1 to $5)! Seriously: if you can, eat them all! Speaking of street food, nothing says “local eats” more than Turtle Lake. Yes, Bui Vien has amazing options when it comes to street food, but Turtle Lake is a great place for more of a late night snack and to chill. It’s situated in the center of a roundabout and is always filled with locals after dark. Every few feet, there is usually a local crouched down, grilling something good on their portable grill. This is the best place to get Banh Trang Nuong, or the Vietnamese pizza! Once you get one of those, sit down by the man-made lake with the local “cool” kids on the concrete playground, munch satisfyingly on your snack, and enjoy the scene— and be sure to people watch! Did you know that Saigon has a French-style cathedral way back from 1880? During the French conquest of Saigon, they decided to take an old pagoda and turn it into a cathedral instead. This old cathedral may seem out of place in Ho Chi Minh City today, but, it’s not, as French culture had and continues to have a huge influence on the country. France just lost their control of the country in 1954! Naturally, the culture, the people, and even the food in Vietnam have been affected. Their most famous cuisine, Banh Mi, features a baguette, for crying out loud! While exploring things to do in Ho Chi Minh City, you should really take the time to visit this cathedral— and even the area around it! Conveniently, Turtle Lake is right nearby. In the heart of Ho Chi Minh City’s District 1 lies the well-known Ben Thanh Market. Once inside, you’ll be struck by the various items for sale. Rugs, clothes, animals, shoes, souvenirs, purses, fruit, you name it! It’s the perfect place to go shopping for pretty much anything and everything. When there, though, be sure to bargain as the locals enjoy hiking up prices for foreigners and they expect you to haggle! If you’re not looking to go shopping while finding things to do in Ho Chi Minh, then at least visit the Street Food Market in Ben Thanh. It offers a plethora of delicious food options and at decent prices to cater to just about any foodie! Oh, and they don’t just serve killer Vietnamese food. They serve food from all over the world, like sandwiches, Thai food, ice cream, sushi, ramen, Indian food, and much more. This part of the market is a magnet for anyone looking for some good grub, both tourists and locals alike. Walking Street in District 1 is the perfect place for a nighttime stroll after a hot, humid day. Locals and foreigners tend to gather here at night as a place to hangout. People often ride skateboards, eat ice cream and street food, sit and chat with friends, and, more often than not, people watch. The street begins with City Hall, a glorious building to visit on its own. Along both sides of the street are plenty of shops, bars, and restaurants. Being that it’s in the more upscale area of the city, though, be prepared for some higher prices. Even so, it’s still worth a visit. You could even walk along the street towards the Saigon River, where Walking Street ends. There, you could potentially walk some more along the river. More often than not, people associate Vietnam with the Vietnam War. And that’s understandable, as the war only ended 43 years ago. Although a lot of the world has moved on since this war, Vietnam has not. They still feel the reverberations to this day. Over 2 million civilians on both sides of the war (North and South Vietnam), 1.1 million Viet Cong and North Vietnamese soldiers, and around 200,000 to 250,000 South Vietnamese soldiers were killed. People are still being born with birth defects from Agent Orange. Countless soldiers and civilians on both sides of the war were tortured in unspeakably horrific ways. When visiting Ho Chi Minh City, or even the country of Vietnam, you should learn about this war and it’s heavy impact on its people while you are finding things to do in Ho Chi Minh City. One great way to do that is by visiting the War Remnants Museum. It’s only 40,000 Vietnamese Dong, or about $1.75 USD, and it is most certainly worth it. You will get a glance at what happened in Vietnam from the perspective of the Vietnamese themselves and understand just a little bit more about the country that it is today. Marilyn is a nomad who runs a travel trifecta with her boyfriend, Matt, called Words with Winos.  It’s a travel podcast where the two drink an entire bottle of wine, but also a vlog and blog. Her traveling journey began while teaching English in Thailand 2014, where she instantly fell in love with the nomadic lifestyle. She’s lived in and visited almost 20 countries since then and doesn’t intend on stopping. Check out their Website, Facebook, and Instagram! Dont forget to pin this to your Southeast Asia travel board!